Here are our picks for the BEST From-Scratch Slow Cooker Pasta Sauce Recipes from food bloggers! If you have tomatoes from the garden, it’s time to make some sauce. 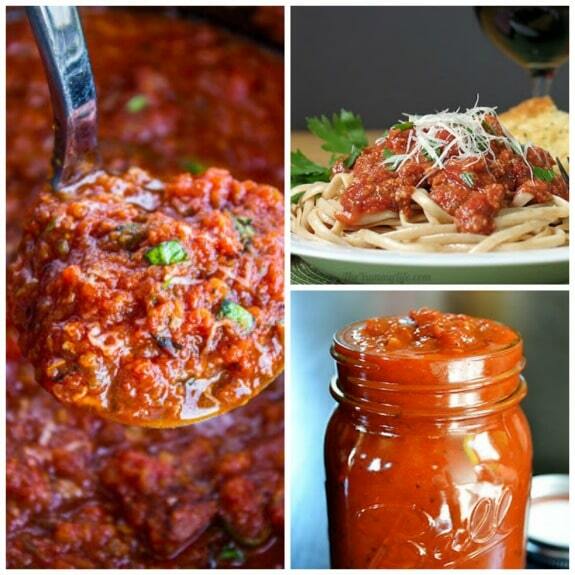 Or use canned tomatoes to make a from-scratch pasta sauce during the winter! 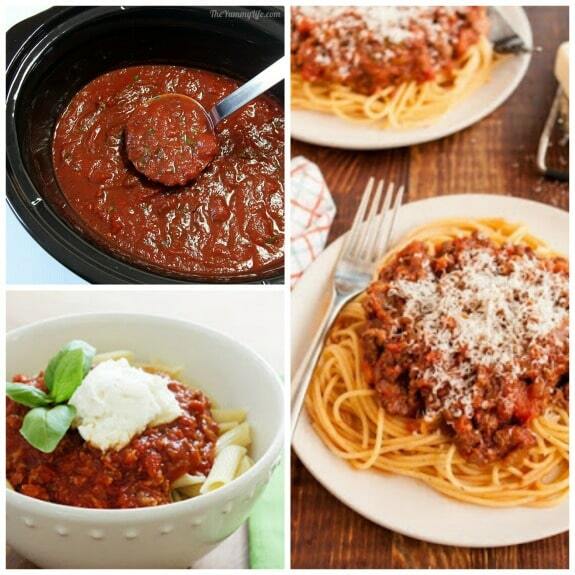 Click here to PIN The BEST From-Scratch Slow Cooker Pasta Sauce Recipes. Click for The BEST Instant Pot Pasta Recipes! If you have a garden or access to tomatoes from the farmers market, you need to pick a recipe from this round-up of The BEST From-Scratch Slow Cooker Pasta Sauce Recipes and make pasta sauce for the freezer. I love making homemade pasta sauce, and using the slow cooker turns it into something that doesn’t need to be watched. And whether you use garden tomatoes or tomatoes from a can, making pasta sauce in the slow cooker will make your house smell amazing! This post has so many amazing From-Scratch Slow Cooker Pasta Sauce Recipes, including vegan, sausage, ground beef, and ground turkey sauces and some sauces with fun ingredients like fennel, capers, sun-dried tomatoes, peppers, mushrooms, and eggplant. 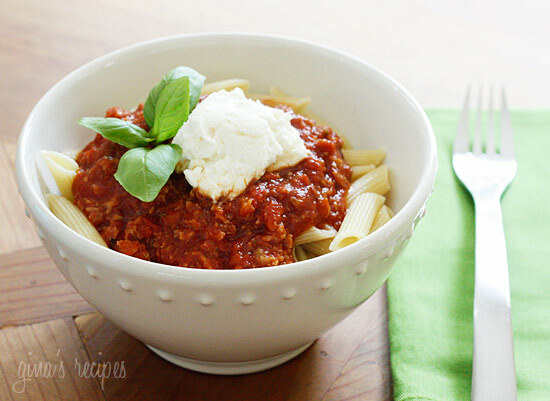 Wouldn’t you love to have pasta sauce in the freezer on a night when you need a quick dinner? All Photos are copyrighted to the original blog that posted the recipe. Just click the recipe title link in the description under each photo to get that recipe from the original blog. The gorgeous sauce shown above is Crockpot Turkey Bolognese Pasta Sauce from Jeanette’s Healthy Living. This red sauce can be made with fresh tomatoes or canned and has some finely chopped carrot and celery as well as a little red wine to flavor the sauce. 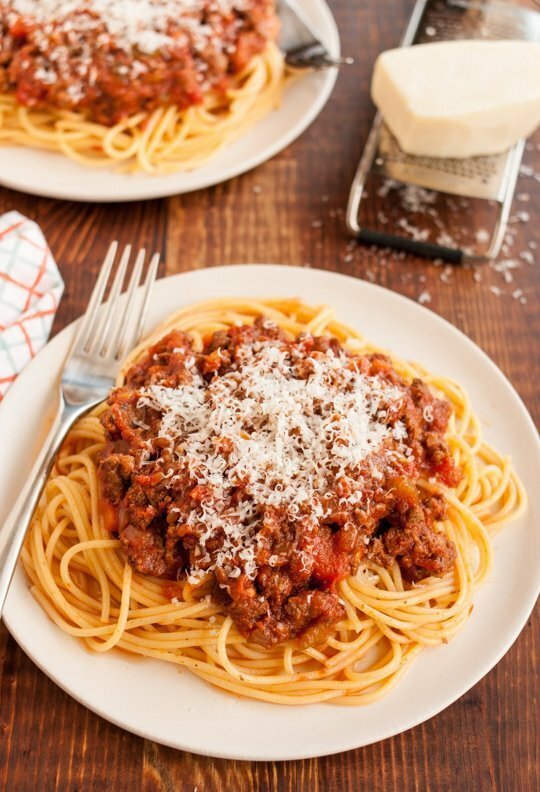 Slow Cooker Bolognese from The Kitchn uses whole canned tomatoes, tomato paste, and ground beef. 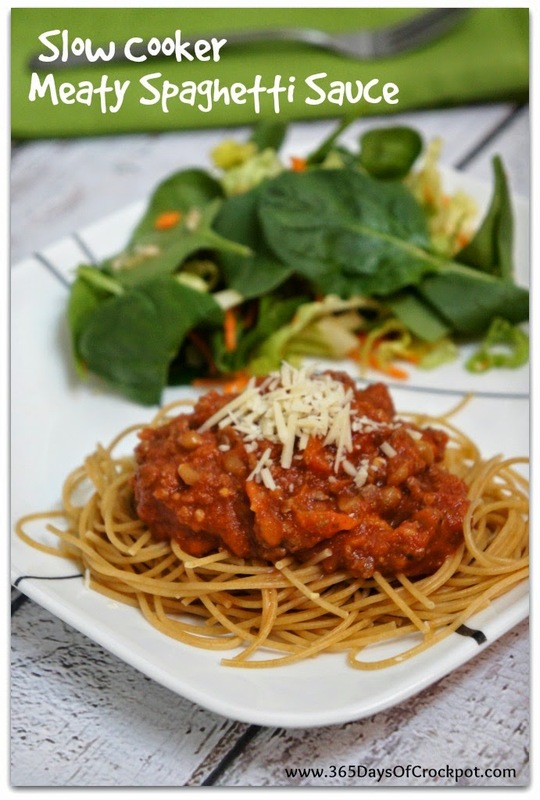 Healthy Slow Cooker Spaghetti Meat Sauce from The Food Charlatan has veggies hidden in the sauce! 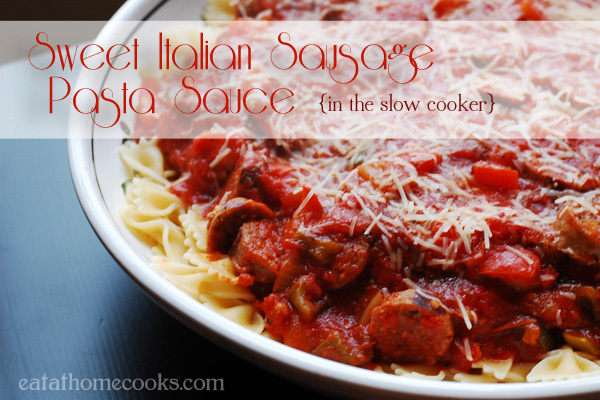 Crock Pot Pasta Sauce with Sausage from Skinnytaste sounds easy and delicious. 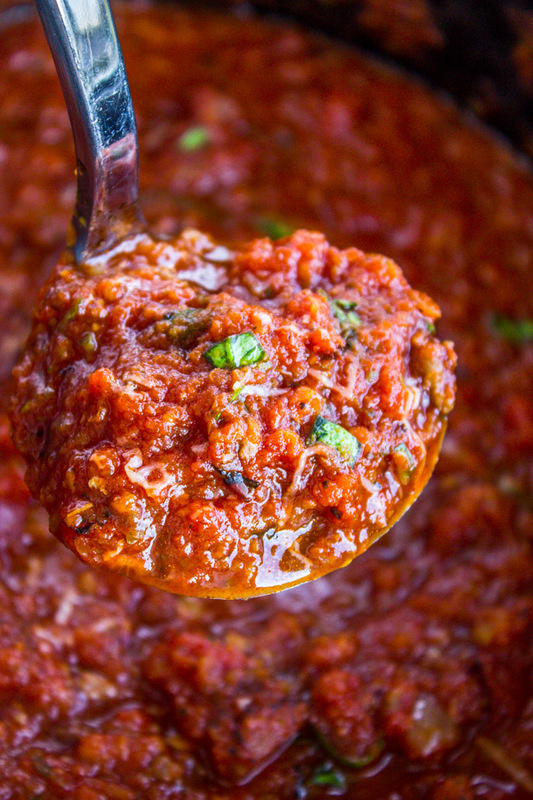 Slow Cooker Rustic Italian Marinara Sauce from The Yummy Life is a post that’s loaded with information and this sauce has garlic and a touch of red wine! 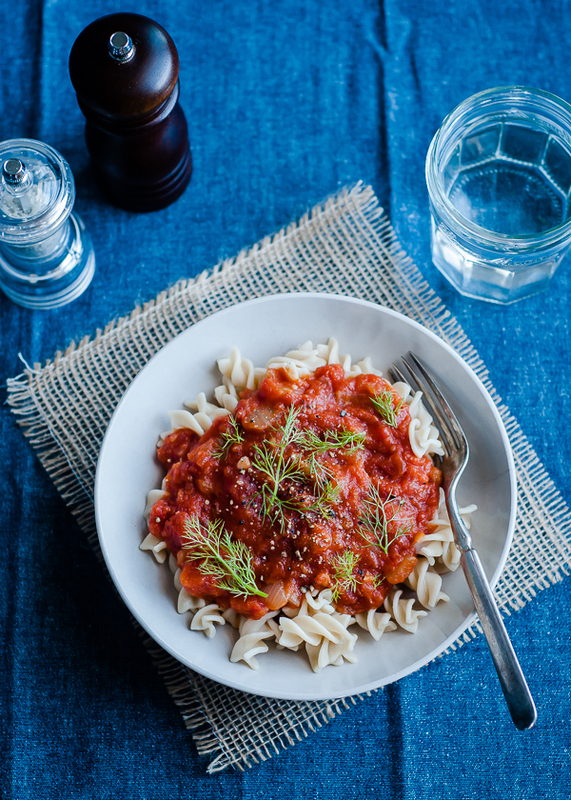 There’s plenty of flavor in this Vegan Slow Cooker Pasta Sauce with Fennel from Cafe Johnsonia. This Crock Pot Pasta Bolognese from I Wash You Dry uses lean ground beef, Italian Sausage, mushrooms, tomatoes, and a little evaporated milk for creaminess. A lighter sauce with meat is the Slow Cooker Pasta Sauce with Ground Turkey from The Yummy Life. 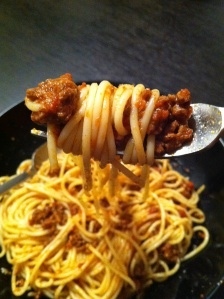 A slightly different take on Slow Cooker Bolognese Sauce from On Top of Spaghetti. Eleni from Greece uses minced beef, a touch of vinegar, onions, tomatoes and a mix of spices that includes paprika, cinnamon, and allspice, among others. Sweet Italian Sausage Pasta Sauce in the Slow Cooker from Eat at Home also has red and green bell peppers. Slow Cooker Meatballs and Marinara from Emily Bites includes a sauce that uses crushed tomatoes, tomato sauce, and tomato paste. 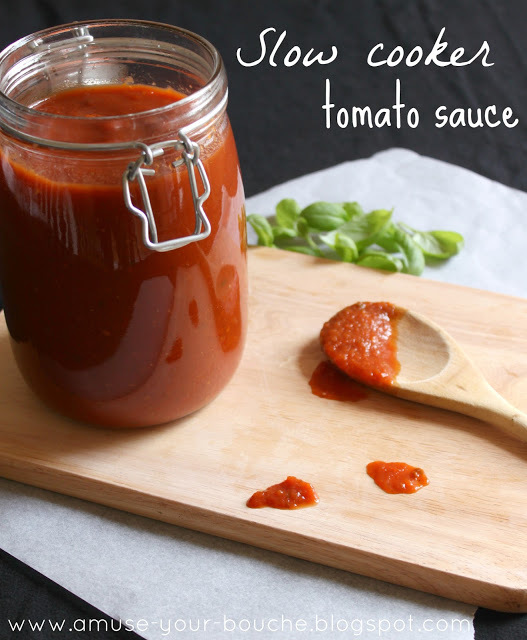 This gorgeous jar of Slow Cooker Marinara Sauce is from Budget Bytes where Beth uses crushed tomatoes and tomato pasta and adds a touch of brown sugar and balsamic vinegar to add flavor to this meatless sauce. Beth lets the sauce cool down in in jars overnight in the fridge and then transfers to freezer bags the next day to freeze the sauce. 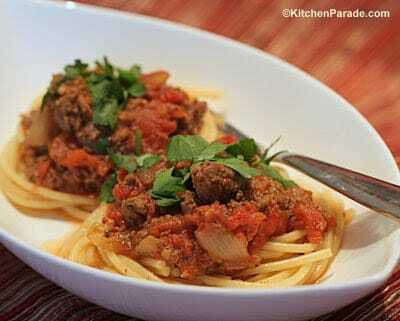 Slow Cooker Meaty Spaghetti Sauce from 365 Days of Slow Cooking also has mushrooms and green pepper. And finally, Becca says this Slow Cook Tomato Sauce from Amuse Your Bouche can be used with a variety of different recipes. 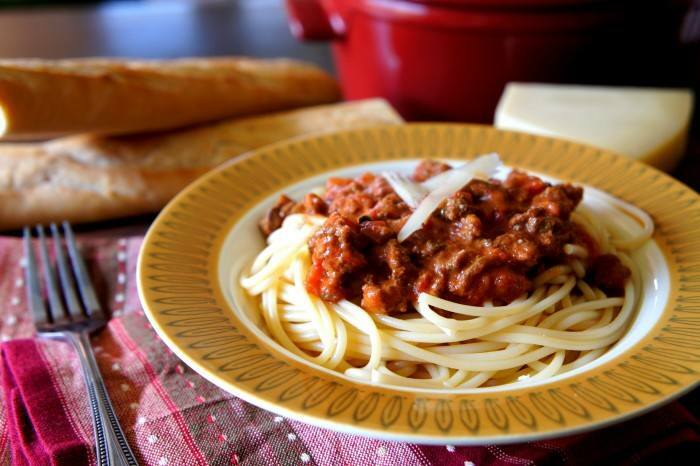 Have you made pasta sauce in the slow cooker? Let us know in the comments about what ingredients you like to use! I love making sauces in the slow cooker. Especially when I have bountiful produce to use. It's so delicious and easy! Thanks Karen. I have only done it once but I can tell I'll be doing it a lot more! Love doing pasta sauce in the slow cooker. 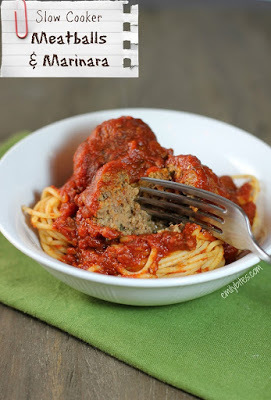 I recently made our family's recipe for Sunday meat gravy with sausages and meatballs. It was actually better than when I've made it stovetop! Debbie, so glad it's useful for you! This reminds me that it's time to start buying end-of-season tomatoes and making sauce for the winter freezer! Lydia, I want to make some too! Thank you for all the recipes. What a nice selection. I will be making these sauces shortly. Thanks Mary; so glad it's useful for you. How can you decide which one to try though!